They Own It All (Including You!) 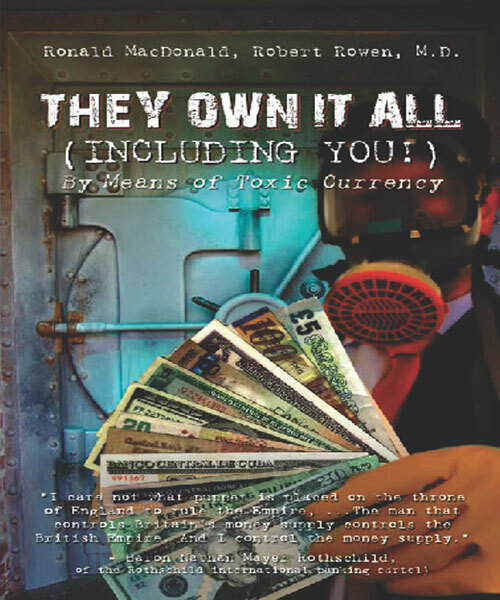 By Means of Toxic Currency, Author: Ronald MacDonald - Buy the Book Now! Buy The PaperBack Version Today! is currently available on anyone of the following links. New People Order is selling volume discounts of 10 or more books through this site. To order 10 books at $12.00 per Book + Shipping please click here to contact our distributor. We will be constantly revising and updating the book's chapter on remedies as new information arrives. These revisions will be available at no cost to the book readers. Please click here to register to receive updated remedies from The New People Order.